The Butterfly tapestry was woven from 2013 to 2014 at Dovecot, in collaboration with artist Alison Watt. The design for the tapestry was based on the tragic character of Cio Cio San from Puccinni’s opera Madama Butterfly. 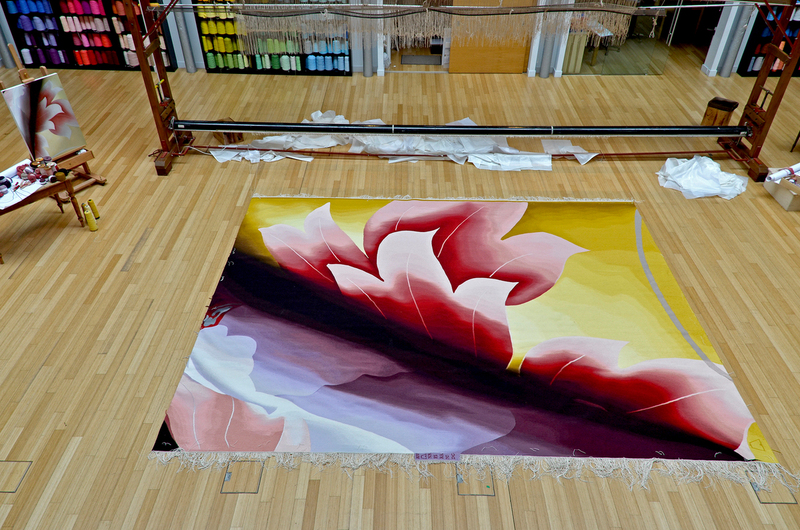 Commissioned by Scottish Opera for the new foyers at Theatre Royal in Glasgow, Butterfly took 9 months to create, with up to 4 weavers working at any one time.